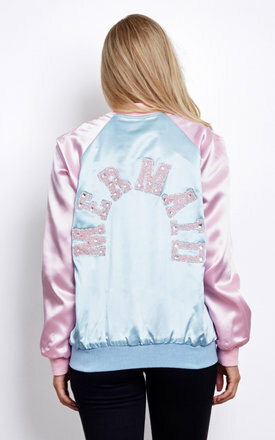 Its finally here! 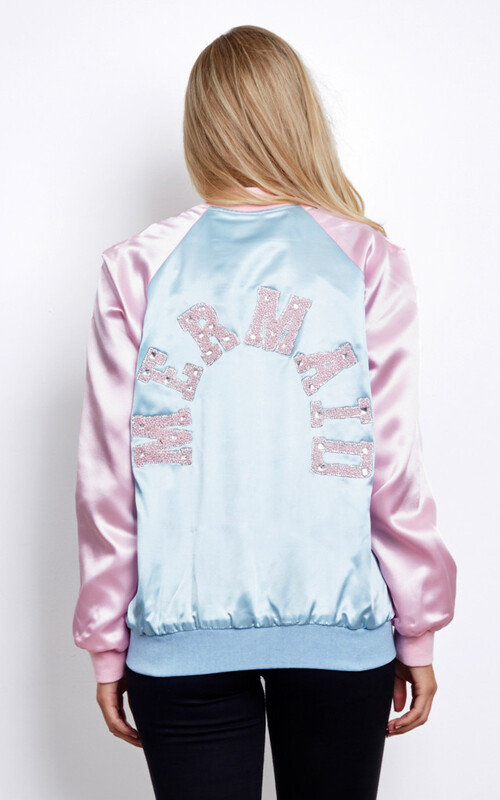 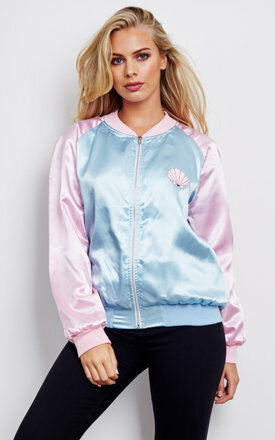 Pastel satin bomber with zip fastening and sequin lettering. 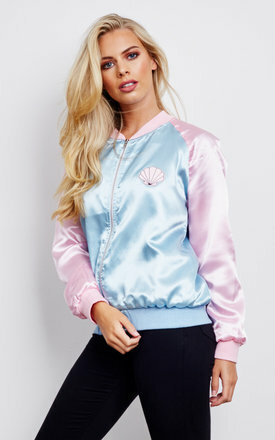 A MUST have this summer!